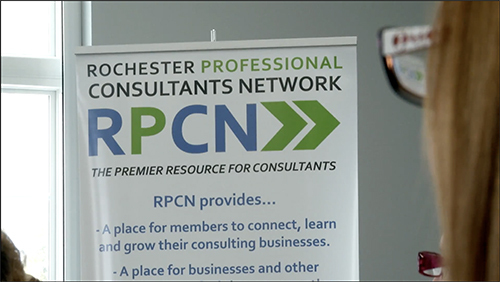 A monthly newsletter from the Rochester Professional Consultants Network. The 5th Annual Entrepreneur Wall of Fame Gala will be held on Wednesday, April 24, 2019 at the Hilton DoubleTree Hotel, 1111 Jefferson Road. Registration and networking begin at 5:30 p.m., with seating for dinner at 6:15 p.m.
Our Gala emcee is Ginny Ryan from Channel 13 News. Kate Washington, CEO of OWN Rochester, a nonprofit business development corporation, is the keynote speaker. Gala sponsorships and program book advertising opportunities are available. Click here for more information. RPCN could still use more blogs, and potential blogging topics, for our monthly blogs with our EBP alliance partners. Do you have some knowledge that you would like to share with the close to 100 tenants on EBP’s 1200 acre site on the west side of Rochester, NY? Their tenants cover a range of businesses in all categories from manufacturing to research & development (R&D). The diversity of the EBP tenants is one of the reasons why RPCN is the preferred provider of EBP’s monthly blogging program since RPCN is composed of a diverse group of consultants. 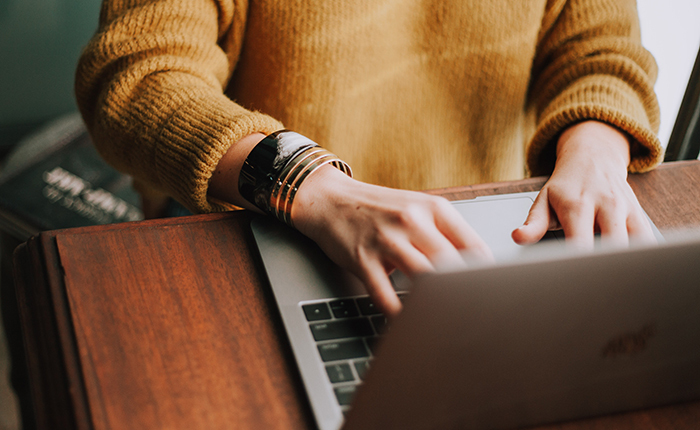 If you are a member of RPCN, or you would just like more information about the blogging program (such as the requirements for submitting a blog to EBP), please refer to the RPCN website here. The link will also show you the subjects and titles of the blogs submitted between February 2019 and September 2016 and the blogs planned for the next couple months. If you would like to read any of the RPCN blogs on the EBP public website, please click here. You may also access individual completed RPCN blogs here. Please consider submitting a blog for EBP if you are an RPCN member. We are always looking for new blogs to enlighten us and our EBP alliance partners. For more information, please send questions to bloggingwithebp@rochesterconsultants.org . Dr. Marcia Bornhurst Parkes, RPCN member and music director of the Melody Masters Big Band, will conduct two concerts in April. The first will be for the Honor Flight Welcome Home Ceremony at the Rochester International Airport on April 7th from 12:15 – 2 PM. The band has selected classic big band music from several eras to delight veterans’ families and other guests as veterans return from their travels to Washington, D. C.
On Sunday, April 28, from 6 – 8:30 PM, the band and friends will present “Lovin’ Education” - two sets of big band music at Lovin’ Cup Bistro and Brews to benefit the Rochester Education Foundation (REF) and its “Spring for Music” initiative. Rob Linton, Station Manager at Jazz90.1 radio, will serve as emcee. Lovin’ Cup, the venue host, is located at 300 Park Point Drive, Suite 101, Rochester, NY 14623. Tax-deductible donations will be accepted at the door via cash or check. Suggested levels are $10 for adults 18 and over; $30 - Family rate (parents and one or more children age 12-17). Children aged 11 or younger may attend free of charge but must be accompanied by an adult. Donation of gently used wind, brass, percussion and string instruments will be welcomed. The Melody Masters Big Band engages music-loving audiences throughout the greater Rochester, NY region at music festivals, private and public community events, benefits, and social occasions, as well as side-by-side concerts with school students. Due to the high levels of child poverty in the City of Rochester (at 50% according to the 2018 ACT Rochester Community Report Card), families find it difficult to support their talented children. Recognizing this need, Dr. Parkes and the Melody Masters Big Band are eager to help RCSD families through events such as this. RED, a 501(c)(3) organization that is independent of the Rochester City School District, supports RCSD students through a host of initiatives. Students pursuing their musical development have several opportunities: summer music lessons and studies at the Hochstein School of Music and Dance, the use of repaired instruments that have been donated, and applying for available scholarships. For more information about REF, please go to https://www.rochestereducation.org/spring-for-music-opportunities. For more information about this event, please go to the Facebook event page, or http://www.lovincup.com, and http://jazz901.org/. Would you like to promote your business at RPCN meetings? You can do this by sponsoring an RPCN meeting. As a meeting sponsor, you will choose a Friday to bring donuts (or other morning goodies) for 30 people to the RPCN meeting of your choosing. RPCN will provide the coffee (included in your fee). • The sponsor will get up to 3 minutes to talk about your business to the audience before the presentation starts at the RPCN meeting. • Your logo will be on display at the refreshment table to acknowledge your sponsorship. • Your logo will be displayed on the page of the event that you choose to sponsor. Your logo will have a link back to your website. • With enough advance notice, we will also place your logo on the RPCN calendar ad sheet next to the date you chose. The RPCN calendar ad sheet is distributed to all attendees at each of our weekly meetings. Click here to register at least 2 weeks prior to the date you want to sponsor. Watch the new introductory video here. To listen to an RBJ podcast in which RPCN's David Powe and Laurie Enos talk about our great organization, click here. Visit our website to register for any of these events. On the first Friday of each month, Steve Royal facilitates the Technical Forum. On the third Friday, Bob Lurz facilitates the Business Forum. These forums are open discussions in which virtually all of the input comes from the participants asking questions and other participants helping to answer those questions. DID YOU KNOW that all of the questions asked in both forums are listed on our website? Click here to access them and you can see all of the forum questions asked for several years. You might wonder why the answers to the questions aren't posted as well. Come to the forums for the answers. At every RPCN meeting, and at our events and tradeshow booths, RPCN distributes the Program Ad sheets. Ads are inexpensive and support RPCN. The cost for members to advertise is $20 for 2 months. For non-members, the cost is $40 for 2 months. The deadline to get your ad included in the May/June 2019 calendar ad sheet is April 19, 2019. Sign up for your ad here. Not an RPCN member? You can join RPCN now to receive great benefits, including free admission to RPCN presentations, a listing in the RPCN Member Directory, and discounts to RPCN events. Click here for more information on joining RPCN. The RPCN newsletter welcomes news, success stories, tips, resources, events and other items that would be of broad interest to consultants. Submit a newsletter item to newsletter@rochesterconsultants.org for inclusion. Please send content for the February newsletter by April 21th, 2019. Copyright © 2019 Rochester Professional Consultants Network, All rights reserved. You are receiving this email because you opted in at one of our events or on our website.